[Professor Michael Dine of the University of California at Santa Cruz is today's guest in our ongoing feature '5 Breakthroughs'. He is also a faculty member at the university's Santa Cruz Institute for Particle Physics (SCIPP). In his long career spanning about 3 decades (He got his PhD from Yale University in 1978), Prof. Dine made major contributions in the areas of supersymmetry, string theory, and other efforts to develop a "new physics" beyond the standard model of particle physics. He has been one of the principal contributors (with various collaborators) to the set of ideas associated with supersymmetry, and was among the first to propose that supersymmetry might well be broken at these energy scales. Prof. Dine developed some of the first potentially realistic models of supersymmetry phenomenology, and was among the first to explore the dynamics of supersymmetric theories, uncovering an array of surprising phenomena, some of potential relevance to experiments, and others of interest to mathematicians and more theoretically minded physicists. In recent years, he developed a proposal for the phenomenology of supersymmetry which has become a standard for both theoretical and experimental analyses. Currently, he is engaged in a number of projects exploring the experimental possibilities for the Large Hadron Collider (LHC). 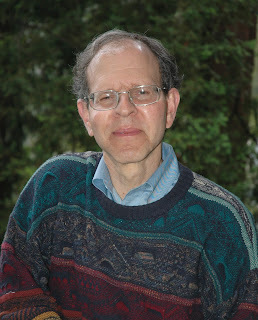 Prof. Dine also made significant contributions in superstring theory. Most of his work has been motivated by the hope of making specific predictions from the theory for accelerators, but in the course of these efforts, he made several important contributions to the overall theoretical structure. Much of his current effort is involved with trying to understand whether one can make predictions from this theory relevant to the Large Hadron Collider (LHC). At the moment, he believes there is a promising (but not certain), approach, based on a popular set of ideas commonly referred to as the `landscape'. In December, 2007 issue of 'Physics Today', Prof. Dine provided an excellent account of the relationship between string theory and particle experiments in an article entitled "String Theory in the era of the Large Hadron Collider" (p.33, Article Link). He also authored a widely acclaimed book on this topic: "Supersymmetry and String Theory: Beyond the Standard Model" (Cambridge University, 2007). In the field of cosmology, he made significant contributions to the theory of inflation, and to ideas about the dark energy and dark matter. Simultaneously with others, he proposed the axion as a dark matter candidate, which has remained, over the years, one of the two most plausible possibilities (the other arising in supersymmetric theories). He also proposed one of the most widely studied ideas for understanding the origin of the matter-antimatter asymmetry (known as the Affleck-Dine mechanism) explaining why there was not, initially, an equal amount of matter and antimatter, which could have simply annihilated each other. It's our pleasure to present this list of 5 most important breakthroughs that Prof. Dine would like to see in the physics of elementary particles. 1) Determination of the origin of electroweak symmetry breaking – the masses of the W and Z bosons, quarks and leptons. Is it a single Higgs field (particle), as in the simplest version of the standard model? Or is it associated with supersymmetry, large or warped extra dimensions, or something else? This question should be settled over the next three to five years by the Large Hadron Collider at CERN, due to be commissioned late this year. 2) Identifying the dark matter. There are several plausible, well-motivated candidates coming from particle physics: the lightest supersymmetric particle (LSP), the axion (a hypothetical particle seemingly required to understand features of the strong nuclear force), and others. There are ongoing, dedicated searches for both the LSP and the axion. If the LHC discovers supersymmetry, there is a good chance we will discover the dark matter particle in underground experiments, and we will be able to study in some detail how this particle was produced at the earliest stages of the big bang. The axion searches also have a real chance of finding something, if the axion is the dark matter, though detectors with a broader reach may be necessary. 3) Theoretically, one urgent question is: does string theory predict that supersymmetry, warping, or something else is responsible for electroweak symmetry breaking? Can we settle this question theoretically before the LHC? Can we make more detailed predictions? Recent developments associated with the string landscape suggest this might be possible, but the problem is challenging. 4) There are many problems of quark and lepton flavor (the occurrence of several types of quarks and leptons, and the puzzling features of their masses and couplings) which we would like to understand. What is the scale of baryon number violation? What can we understand, theoretically and experimentally, about the origin of neutrino mass? Can we develop a compelling theory, which explains the very different features of the charged fermion masses and those of the neutrinos? Can we establish experimentally the nature of the neutrino masses? Can we decide that leptogenesis, and not, say, coherent effects associated with supersymmetry, are responsible for the asymmetry between matter and antimatter in the universe? 5) Theoretically and experimentally, what more can we learn about inflation, the period of rapid expansion in the very early universe for which there is growing observational evidence, as well as strong theoretical arguments? At a microscopic level, we are far from understanding how inflation comes about. All existing models have troubling features. Can we get beyond this situation? Can supersymmetry or string theory help? If we have improved theories, they will be subject to some experimental tests; how far can we go?